Tumbleweed. I kid you not: tumbleweed. That good-ol’ Western-film staple, rollicking down the dusty streets of countless back lot ghost towns. This is what Moroccan-born French artist Latifa Echakhch did before she won the Prix Marcel Duchamp last week. (Well, among a lot of other intriguing work.) 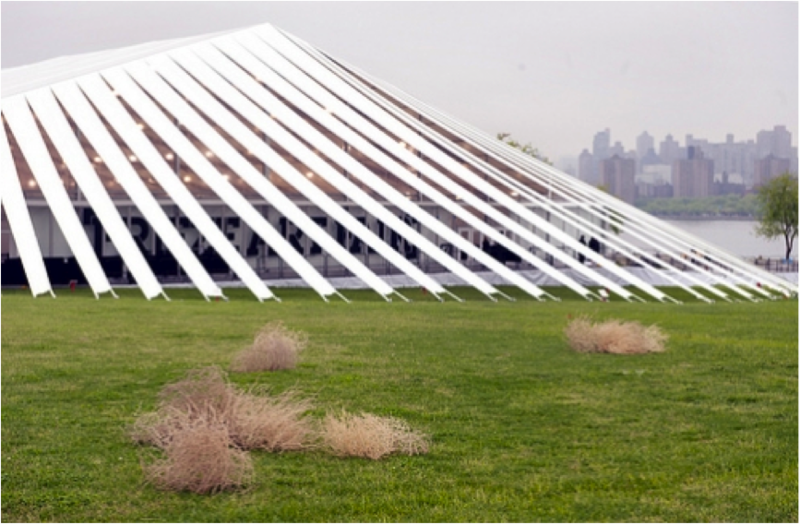 In Tumbleweeds (2012), one of the commissioned works at Frieze Projects New York that year, she transplanted hundreds of the wayfaring tangles onto the lawn of the fair’s Randall Island site. Raising a host of questions (but answering none), the installation, like much of the artist’s sharp, no-frills work, interrogated the importance of symbols. Take, as an example, her installation at this year’s Sharjah Biennial (SB 11). 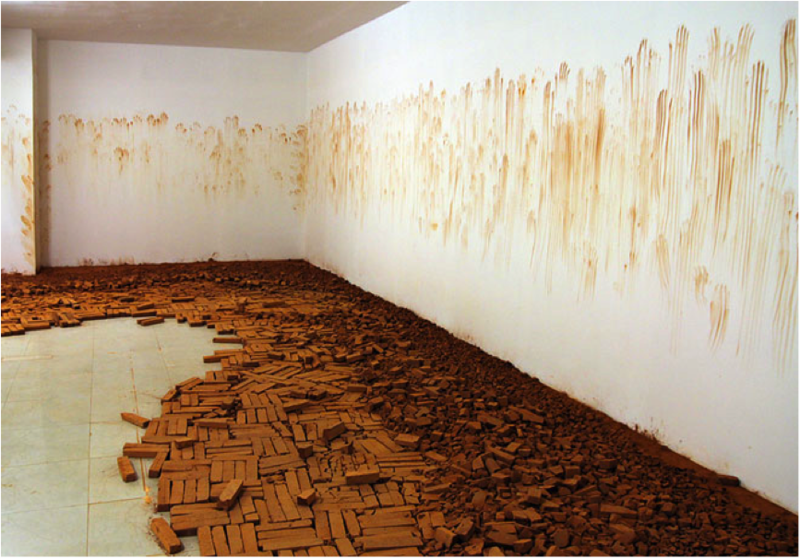 Entitled Tkaf (2011), which loosely means “evil eye” in dialectical Berber, the work presented a room filled with pulverized bricks, the pigment of which stained the surrounding walls in smeared handprints. Encountering the work is already quite visceral, thanks to the frenzied hand-trails (play? torture? ritual? ), but a deeper reading unearths some art historical references (Carl Andre’s brick line-ups and Beuys’ shamanism spring to mind). Teetering between civilized and savage, contemporary and archaic, Tkaf is precise and direct yet somehow haunting and unshakable. The road looks a great deal less desolate for Latifa Echakhch as Marcel Duchamp Prize-winner than for the aimless tumbleweed (or the lowly bricks for that matter): she will have a 3-month show at Paris’ Centre Pompidou in the autumn of 2014 and a €35k grant. She went head-to-head with collective Claire Fontaine and artists Farah Atassi and Raphaël Zarka for this year’s prize. My long suppressed tumbleweed fetish, newly revived by Latifa Echakhch’s win, compels me to share this mesmerizing video illustrating the rambling weed’s symbolic power.